We are proud to present our new Life Member, Official Blazer. All Life Members who register and attend the 37th International Conclave, July 22, 2019 to July 27, 2019 will receive the new Official Life Member Blazer showcasing our new Life Member shield. 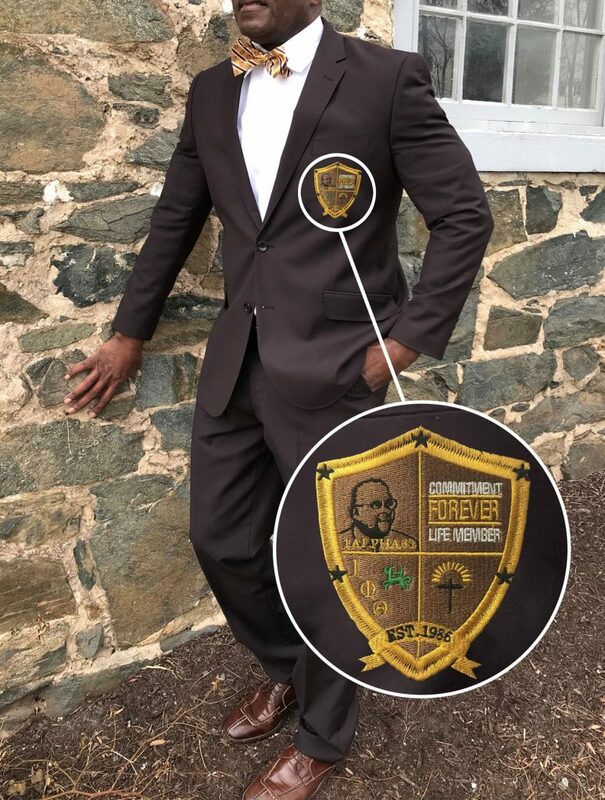 The life member shield is a product of Iota Phi Theta Fraternity, Inc., and can only be accessed through the National Office and its clothing line vendor Linderal Arrington Designs. The Shield pays tribute to our very own Founder Lonnie C. Spruill, Jr., 1 Alpha 63 and echoes the tenets of our life membership program which are Forever, Committed along with key symbolization of the Fraternal shield. The Life Member program was established in 1986 under the leadership of 14th Grand Polaris James Martin. We look forward to building upon its exclusiveness. Please complete the below information to be included in the inaugural distribution of the Official Life Member Blazer, that will be provided to conclave registered life members during the 37th International Conclave. If you are not attending the conclave and would like to purchase the new life member blazer, please look for the opening of the fraternity clothing line which will include this blazer and much, much more.